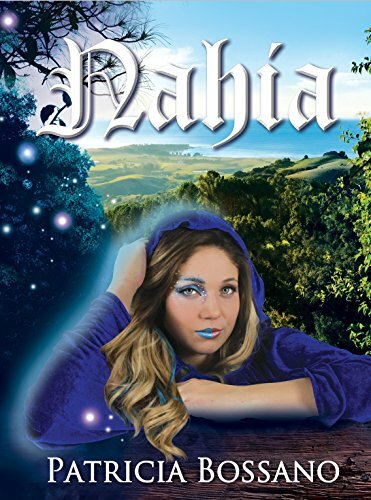 Nahia follows the turbulent efforts of a faery princess as she tries to lure her human obsession into the faery realm to maintain her relationship with him. What was your inspiration for this book’s direction and plot? When I finished writing Cradle Gift (book 2) I knew I’d have to tell Nahia’s story to explain in detail Maité’s discovery at the end of Cradle Gift—that the woman Anahí in her family tree was actually Nahia. When we met her in Faery Sight, we learned she was a willful creature whose heart, thankfully, was in the right place. It seems that throughout her youth, the motto ‘better to ask for forgiveness than permission’ was the driving force behind her actions. Nahia is my full-fledged faery and as such she embodies the whole gamut of faery traits; she’s selfish, she holds grudges, she steals human babies, she arranges things in her mind whichever way suits her best. But she is also passionate, determined, courageous and has a great capacity to learn and to love. The books in this series span several generations and move through time very quickly. Was this a reflection of the faery’s life or was it necessary to tell the story you wanted? I think Nahia fits in a philosophical fiction genre (is there such a thing?) and because of that it is geared toward a more mature audience (the other 2 books in the series are YA). I wanted to describe the evolution of Nahia’s heart and mind in detail, it was important to me to put her through the motions of going after her own desires, disregarding those around her, then realize that that kind of behavior only begets heartache or a passing satisfaction at best, so that in the end she considers and actually chooses to expand her heart and embrace a greater purpose, even if it involves sacrifice. Your books are always highly imaginative and wonderfully descriptive. What is your writing process like? Chapter Outline/Synopsis; this is where ideas fly through my brain—imagination is in high gear. First Draft and First Round of Editing done by me; this is stage where characters usually crop up in my dreams to make suggestions and poke me with reminders or corrections. I make all kinds of sleepy notes that I have to decipher the next day. Second Draft and 1-2 Rounds with Critique Group; this is where I bite my nails waiting to hear back from a handful of friends/family who’ve kindly offered to read my work. Third Draft, Second Round of Editing done by me, Fourth Draft to Pro Editor; this is the most feverish portion of the process. I can feel the end is near so I apply flattening-strength pressure on myself. Then comes the sigh of relief when the Final MSS finally leaves my hands. Nahia is book three in the Faerie Legacy series. Do you plan to continue the series with book four or will you be writing a new book? Nahia ends with a Summer Solstice Celebration during which the hybrid faery-human family is reunited. In that reunion, Maité’s daughter is not yet 2 years old, so I’m considering a book about the baby Aintza; she could only see her mother in dreams and in person once per year. This went on during the first 7 years of her life. I’m also considering a series of picture books featuring the adventures of my hybrid faery-human family in the Faerie Realm. As far as unrelated projects go, I have the 7 Ghostly Spins, a collection of seven paranormal tales based on true ghost legends and nightmares come true. Coming on All Souls Day, 2018. Daughters of the Bride; is another philosophical fiction project I’m working on. After the death of their father, three women embark on a distressing journey of reflection; to know themselves and the mother they thought they knew. No publication date yet. A rebellious faery princess struggles with satisfying her own desires over what’s best for her loved ones. Following her heart in pursuit of the human she loves, Nahia hides her faery identity in order to enter the human dimension. After giving birth to a daughter, Nahia’s secret is revealed, as is the realization that she has forever altered the genetic human footprint. Faced with death, Nahia returns to the faerie realm only to have its dormant weight thrust upon her after the demise of its magical keeper. To save her home and renew ties with both her human and faerie family, Nahia must find a way to reawaken the realm, become the new Faery Queen, and provide a royal descendant for the new Keeper of the Forest. Cradle Gift is the second book in the Faery Legacy series written by author, Patricia Bossano. 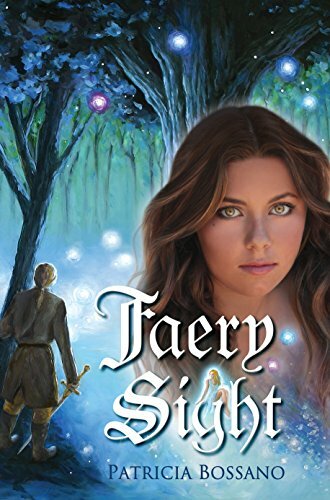 In this sequel to Faery Sight, young Maité begins to discover the origins of her gift of foresight and the true meanings behind her ability to willfully move in and out of the dreams of others. Maité finds herself an orphan at the age of sixteen, and she is uprooted when the grandfather she never knew existed calls for her to move to Spain and begin a new life with him. Further complicating matters for Maité, his grandfather’s girlfriend, Eva, is hellbent on acquiring the estate that is, by all rights, Maité’s birthright. Having read Faery Sight, I was anxious to find out how Bossano carries on the legend of Celeste and Etienne. I was not disappointed. Bringing their lineage right into the 21st century, the author has crafted another beautiful fantasy story filled with images of faeries, the same stunning wooded area, and new characters equally as rich as those in the series’s first book. Maité and her friend Emily have a close friendship rivaling sisterhood and provide plenty of lighthearted moments as they deal with some very serious issues plaguing Maité’s looming adulthood. Bossano has created a unique character in Plinio. The newness of her situation in Spain and the daunting appearance of the mansion in which she must now live makes for a skittish Maité. Plinio’s awkwardness, his demeanor, and his rather disturbing appearance stir fear in her heart. With the addition Plinio’s character, the author has added another layer of mystery to an already suspenseful tale. I am one of those readers who tries far too hard in making predictions as I read and must admit I guessed everything but the correct answer regarding the mystifying whispers Maité hears as she makes her way to Spain and inhabits the home of her grandfather. Once the answer was revealed, I have to say I was pleasantly surprised and then saddened. I won’t give away too much; I will only say that the story behind the character responsible for the ominous communications is a tragic one. The fact that his feelings span centuries is heartbreaking. Bossano successfully weaves book one into this installment with the inclusion of this character. 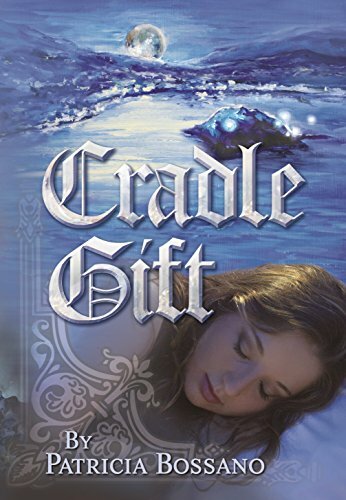 I recommend Cradle Gift to any reader who enjoys the fantasy genre but requires a little romance woven into the plot. Both Book One and Book Two are exceptional choices for teen fans of the fantasy genre. It is worth noting that Cradle Gift feels more geared toward teen readers than Faery Sight and the two need to be read in order to fully understand and appreciate the connections between the two. 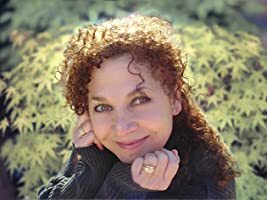 Bossano, again, keeps readers invested and draws them from one chapter quickly into the next with her rich characters, striking descriptions of the faery realm, and the conflicts between the human and faery elements. Maité and the new additions in Book Two are equally as memorable as those introduced in Bossano’s first book in the series.